I spent my Thanksgiving of 2015 in a New York City apartment with NYU medical students. In the morning we watched the Macy’s Thanksgiving’s day parade in person—a dream of mine—especially given that watching the Thanksgiving football game always wins out in my home. I still dream of the velvety overly indulgent banana pudding we feasted on that morning from Magnolia Bakery in Grand Central Station. The bustling sounds of anticipation. The overcrowded sidewalks filled with parade spectators. Children and adults alike in awe of the giant balloons and the interesting characters that conducted these giants. That evening we sat in the perfectly cramped NYC studio apartment. The table, the living room and the bedroom all in one space. The football game playing in the background (I should have known I couldn’t have escaped the game completely). Nana’s green bean casserole on the table. An assortment of food and conversation. But as expected with a group of fresh medical student the conversation always slipped back into the murky and newly charted terrain of medical school. They were finishing their last few weeks of their first semester. Much of the conversation was new to me. Medical school stereotypes. The ‘bro’ types go into plastics while people looking for money go into dermatology. There were choices to be made—ranking of intelligence based on those future decisions. And the surprise conversation I was not expecting—cadavers. Yep the dissection of newly deceased people. I had no idea there was so much to be said about such a topic. The wretched smell of the cadaver of poor student group x. The super interesting things discovered by group z. This was interesting and all but slightly not relatable. As a social worker, and human, I am accustomed to working with the living not the dead. Then the conversation turn to a subject I may never forget. A discussion about hands. How the hands were said to be the hardest things to dissect. How they held the spirit of the person. The way in which the hands humanized the experience of dissecting a human. Someone’s grandfather. A mother. Somebody’s loved one. How the hands were a reminded of the gift, given both from the deceased and the living left behind, in the pursuit of advancing those newest to the medical field. My appreciation of these beautiful instruments, as well as for the system that gives sensation to those fingertips, grew after this conversation. For the first time I began to notice hands. How they communication so much about a person without saying anything. Their intricacy—the lines that stream gentle across the palms. 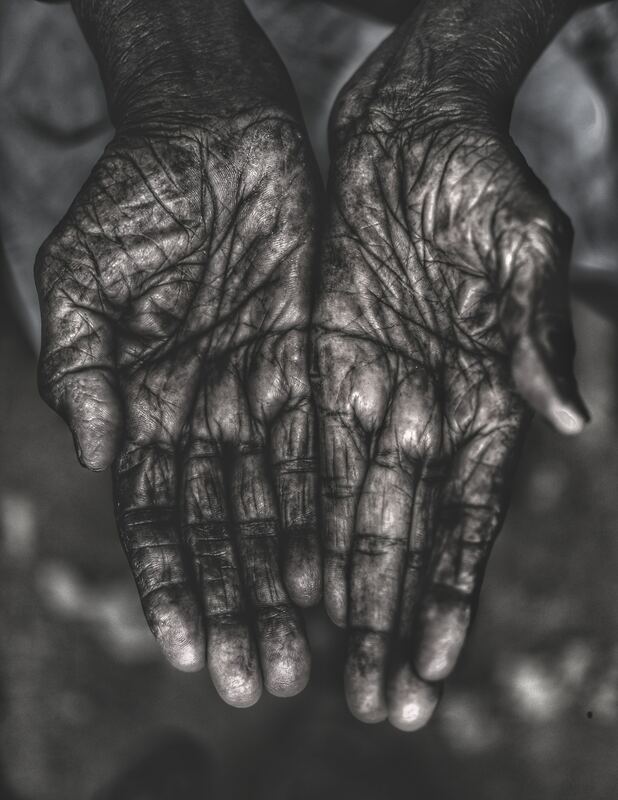 Their texture—giving insight into what those hands have endured. Their mannerisms—demonstrating a person’s spirit and character. Their posture—holding past hurts and future hopes. I am reminded of the soft wrinkles that cover the surface of my grandmother’s delicate fingers that lead into exposed veins. My mother’s hands. The same beautiful hands that held me in her arms now communicate with me through a system of Italian hand gestures. In this moment I am grateful for the hands of the women who have helped guide me both past and present. On this Guatemalan journey. The Señoras. The hands were the first things I notices about the señoras. Each set of extremities communicating a different story. One pair of hands 60 years old, 20 years younger than my grandmother, look 40 years older. The fearlessness in which each woman takes a knife in her palm. The precautious fingers used with care when we make tortillas. Hands that carefully craft the circular form while fingertips simultaneously pinch the corners. Now I know some of the places those hands have traveled. For this, I have a new appreciation for the hands they have carried throughout their journeys. Hands that have welcomed new generations into the world. Hands that cook for their husbands at 3am and wake their children at 6am. Hands that have experienced loss. Working hands. Hands that are cut, bruised and dry from working day in and out. I find beauty in the roughness. These instruments that now guide mine as we work together every morning. From my first day peeling carrots to the wild hand gestures we have used to assist with my emerging Spanish. These hands remind me of their love and patience for me. I feel held—cared for. I will miss these hands. Their hands not only guide me, but also comfort me. As I want to cry at the thought of leaving I remember the strength these women have. I not only see strength in their hands but in their stories. In their ability to love and accept me—I was once a stranger, now a mini señora. I will miss these hands and all that they represent. Thank you for holding me. Thank you for reminding me that I am worthy of being held. I will miss the ways in which your hands and your hearts have held me. I know that we will continue to hold each other even from a distance. Paige this is a beautiful piece. You have a talent. Keep writing! Beautiful Paige. I too spent time in Guatemala back in 1995, with my fateher. We traveled the jungles. It is such a magical place. So glad you are experiencing this journey of a lifetime. Thank you so much Lorna! This has been an incredible opportunity and it’s fun to hear that you also spend time time in Guatemala. It is really an incredible place.